We are engaged in the manufacture, export, and supply of Alarm Annunciators. 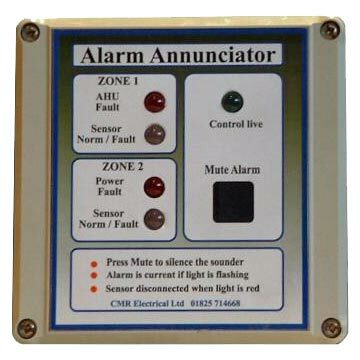 These Alarm Annunciators are preferred for giving flawless alerts for failure warnings. With our Alarm Annunciators, the users can create a number of groups (3x8 Pcs). These Alarm Annunciators are mainly used in power plants, substations, low voltage centers, distribution centers etc.